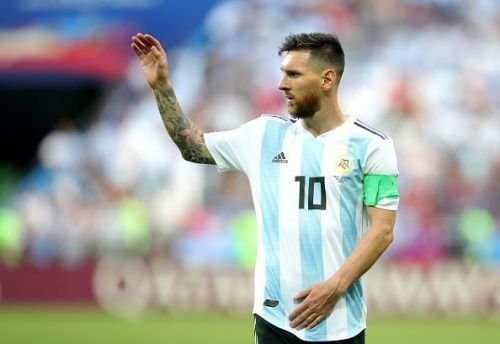 So finally there is a much needed break from club competitions' action this week and the next, and the footballing world is all set to witness some mouthwatering clashes on the International stage. The International break comes as a blessing for the club managers and staff, especially in England, where until a couple of weeks ago, clubs were playing 4 competitions in total, and an average of 4 matches every 18 days - which is some really tiring stuff. Also, the English Premier League is still an open affair between Manchester City and Liverpool making every small game probably a title decider every weekend. Though football players around the world are equally passionate about their club careers, there is something always special wearing your nation's jersey and perform for your country. In fact, it has been noticed over the last decade that many a times, some footballers who are not the best names in the club competitions provide some unexpected performances when they are wearing their country's colours. So, without further ado, let's look at our picks for the top 4 International matches this week and the next, which will make football fans worldwide not miss their domestic club competitions. Belgium has been the biggest name that has emerged in International football over the last decade, and rightly so, as the Belgian Red Devils almost went on to lift the World Cup trophy last year, just to finish third after losing to France in the semi-final. One might argue that on that very day of the semi-final, Belgium were the better team on the field. After their last appearance in the UEFA Nations' League, Belgium take on World Cup 2018 hosts Russia in a gruelling encounter as they face each other for the UEFA EURO 2020 Qualification. Russia haven't been an average side either in the last 2 years, and have some good names in their squad like Denis Cheryshev and Aleksandr Golovin. But since hosting the World Cup last year, the Russian side hasn't look as impressive as their World Cup run. 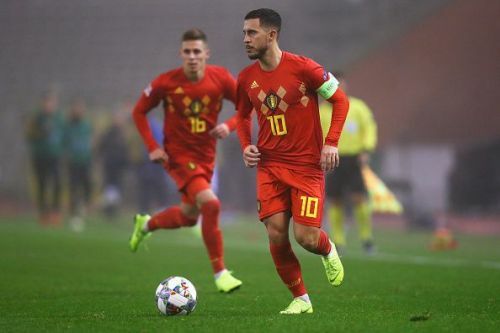 Belgium should see the fixture through easily, thanks to huge names in the squad like Eden Hazard, Kevin de Bruyne and Romelu Lukaku, but one can never predict Russia's game as is a qualifier.